As the urgency for diverse representation continues to rise to the forefront, Wakandacon offers a refuge that oftentimes doesn’t exist. For black folks eager to partake in the bevy of popular Comic-Cons and expos at their disposal, oftentimes its a frustrating experience fraught with casual prejudice and alienation. Cue Wakandacon, which prides itself on being a three-day celebration of Afro-futuristic art, technology, community, cosplay, and self-expression within the African diaspora. And after making its debut last summer, the burgeoning family-friendly convention will be making its triumphant return at the Hyatt Regency McCormick Place in Chicago on July 26-28. “We were inspired to create something more than a fandom convention. 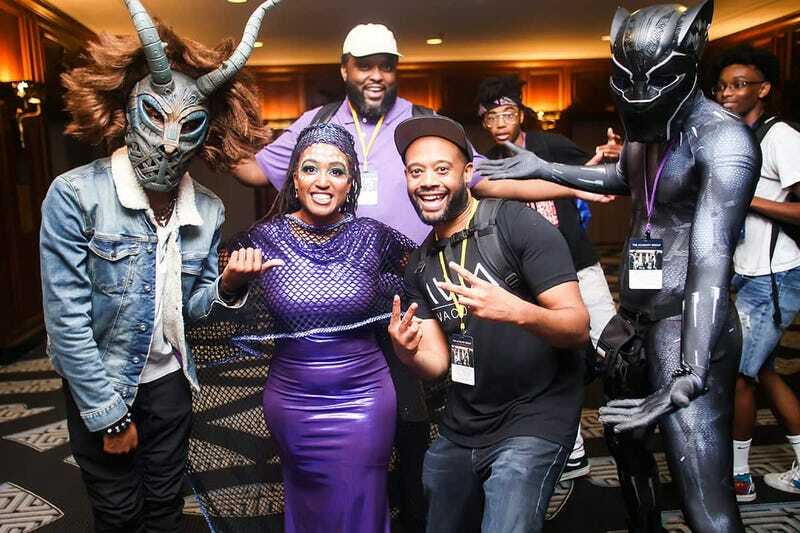 Wakandacon is about art, culture, tech, and self-expression, but also about showcasing dreams, aspirations, and authentic representation of Black people,” Wakandacon founder David Barthwell said in a statement. His co-conspirators are comprised entirely of fellow Chicago residents: Ali and Matt Barthwell join him as co-founders, while Lisa Beasley and Taylor Witten serve as founding producers. And yes, all of the above are black. With more than 2,500 attendees and over 70 minority-owned vendors involved last year, expect those numbers to skyrocket as the convention continues to grow in popularity. For tickets and information, visit their website.